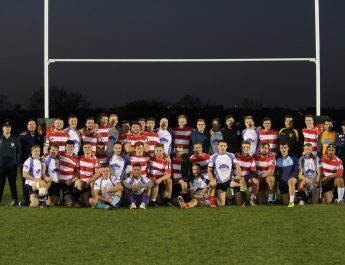 Both teams started strongly, before South West eased ahead in the game, with a better shape and organisation, but the South East rallied and finished strong to bring the game to a close at a respectable 24-52 end. Sam Gilder was first to score for the visitor, scooting and burrowing through from the play the ball; Callum Merrett adding the extras. South East responded, with James Day taking a pass from Thomas Davidson to find space to get the home team off the mark; Josh Spearing on target with the boot. Caley Gray scored the first of a personal four try haul, collecting an offload from Sam Bragoli-Jones; which Merrett converted. 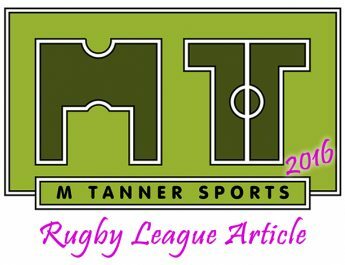 Two minutes later, Merrett scored his first try, dummying and bursting 30 metres to score, but Michael Holden failed to convert. 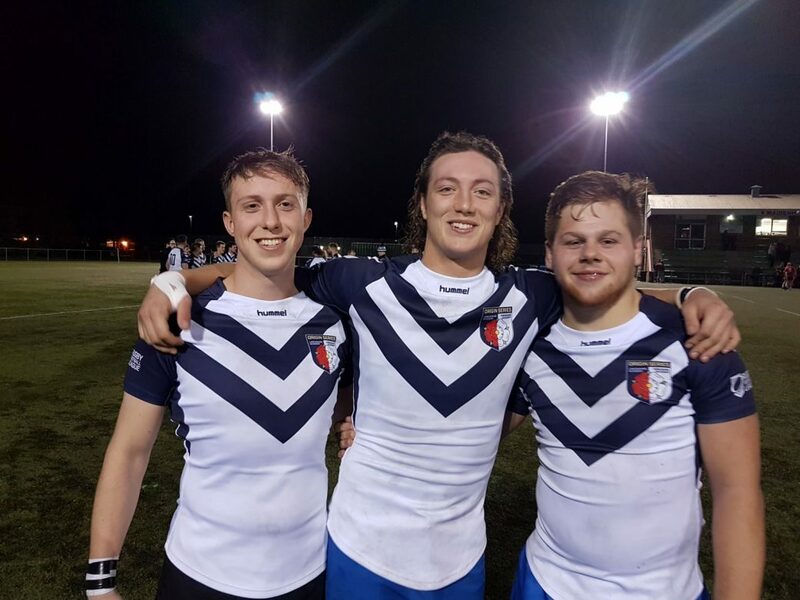 Gray barged his way over on 27 minutes, capitalising on an error which Holden this time adding the extras. He then scored a try of his own, winding his way through four defenders, converting it himself. Merret closed the second half with a try picking up a fumble from the South East, racing away to touch down. Holden added the extras, bringing the half time score to 6-43. South East started the second half strongly, with Nat Wood finishing a superb left to right move going through three pairs of hands, but Speering missed the kick. Holden added a further try to his tally, finishing a perfectly weighted chip kick from Merrett, and converted his own try to spread the margin. Marcus Hockey kept the South East in with a sniff, barging over from close range, but Speering failed to convert. Bragoli-Jones dummied and jinked from the scrum base, with Speering adding the extras to further reduce the margin. However, Gray struck for his hat-trick minutes later and Merrett converted to stretch the lead again. Josh Bull burrowed through at close range for the South East with Speering missing in what looked like the final score of the game. Gray had the final say, at the death, with Merrett converting to end the game 24-52. 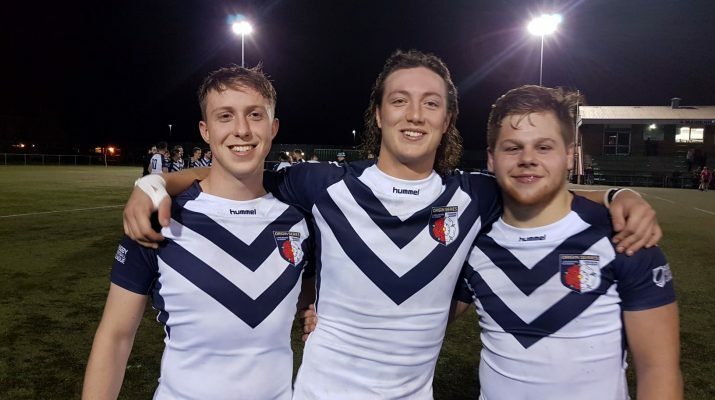 This is the start of the England Universities pathway programme, the best players from this weekends fixtures will be selected for a South Origin side to play the North in February 2019 for a place in the full England Universities Rugby League squad. South East: Josh Spearing, Nat Wood, Chris Anderson, Josh Bull, Donvan Noble, James Day, Thomas Davidson, Rory Butcher, Dan Roberts, Will Budd, Cameron Southgate, Sam Jones, Josh Dalton. Interchanges: Aiden Foster, Will Higgins, Sam Bussell, Eric Sims, Sam Bloomer, Marcus Hockey, Charlie Parker. South West: Errol Carter, Michael Holden, Aedan Coleman, Jack Daynes, Josh Verity, Will Gilder, Callum Merrett, Henry Beer, Sam Gilder, Paul Leversidge, Sam Bragoli-Jones, Brett Davies, Caley Gray. Interchanges: Chris Booth, Connor Whittal, Alex Mayo, Ben Lillistone, Max Beeching, Hector Silva.